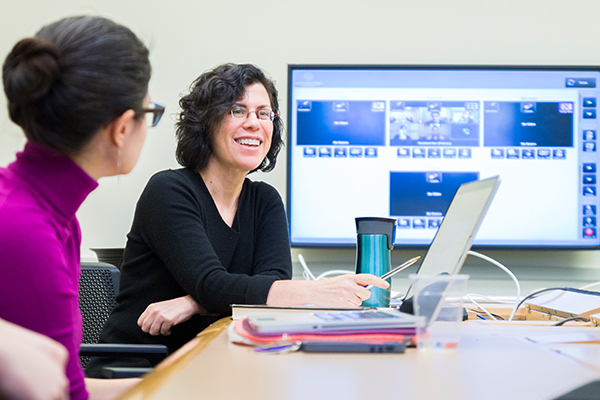 Northwestern University’s Cynthia Coburn, a professor at the School of Education and Social Policy, has been appointed to the National Academies’ Standing Committee on Advancing Science Communication Research and Practice. The committee brings together science communication practitioners and researchers who span a range of disciplines and expertise in health, education, the environment, and other sectors. They work to improve science communication between researchers and the general public, in part by making it easier to access, interpret, and use the data. Coburn’s work has examined the use of research in practice and policy in school settings. She also has looked at research-practice partnerships in educational contexts. “As someone who places huge value on genuine research-practice partnerships, I'm extra proud that one of the world's leading experts is on our team,” said SESP Dean David Figlio. Coburn helps lead the National Center for Research in Policy and Practice, which examines how research is used to make decisions and how it can be employed in research-practice partnerships, among other topics. She also studies the relationship between instructional policy and teachers' classroom practices in urban schools. An expert in critical issues facing public schools, Coburn studies the relationship between reading policy and teachers' classroom practice, the scale-up of innovative mathematics curricula, data use at the district level and the relationship between research and practice for school improvement. In 2011, Coburn was awarded the Early Career Award from the American Educational Research Association for her contributions to the field of educational research in the first decade of her career. Coburn received her doctorate in education from Stanford University.